O'Bryon & Schnabel is a full service litigation firm. We offer the unique combination of big firm experience and small firm service. Our attention to detail promotes cost-effective solutions tailored to individual client needs. Our clients include businesses, corporations, and insurance companies from across the country, most of whom are well into their second decade of relying upon OB&S representation. 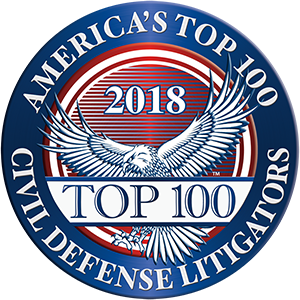 OB&S attorneys have been recognized for their talents and successes by their peers and their clients in publications including Martindale, Best’s, and Super Lawyers.